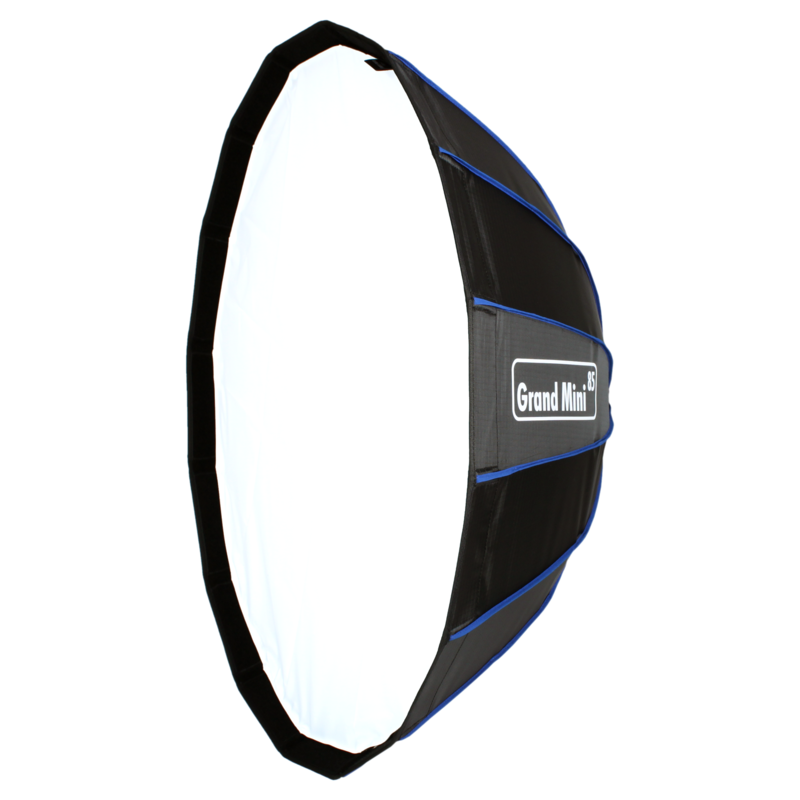 The parabolic softbox for mobile use - just open it in one easy movement, attach it to your flash unit and you're ready to go! As often in life, it is the little things that make the biggest difference. 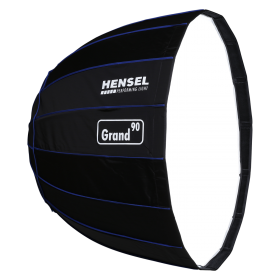 This also applies to the new Hensel Grand Mini 85. 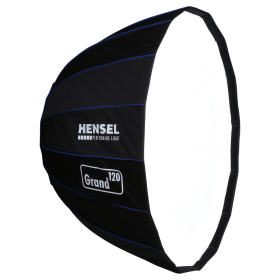 Basically a “normal” grand softbox with 85 cm diameter and the typical advantages: parabolic form for even but brilliant lighting, adjustment of light characterics via change of front and inner diffusers, high efficiency due to optimum construction, and very good color rendering. 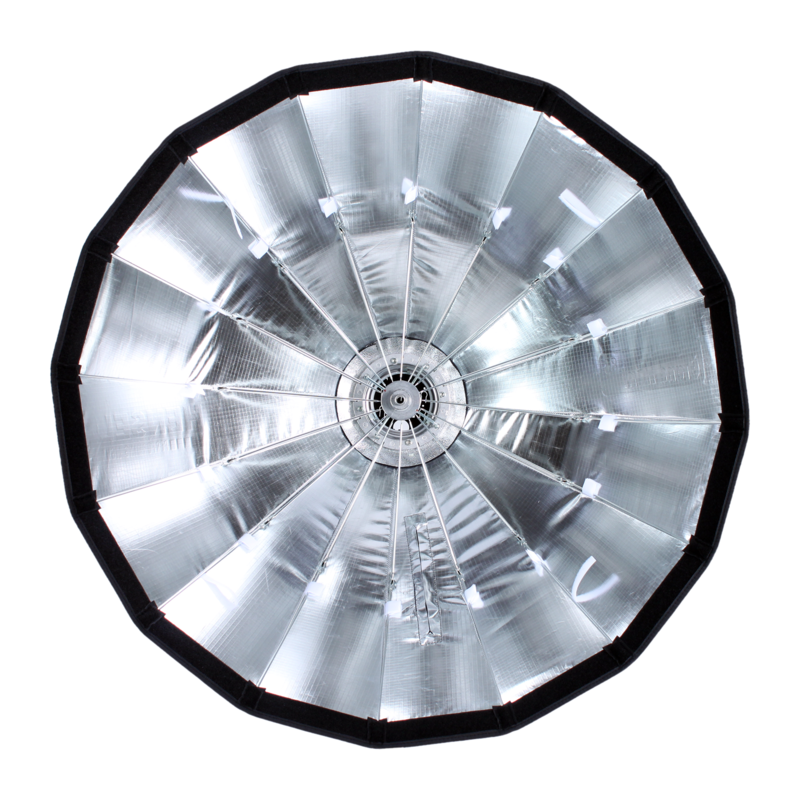 All this comes in known good quality and is made with high-grade materials. The big - or rather small - major difference is its ingenious set-up method! 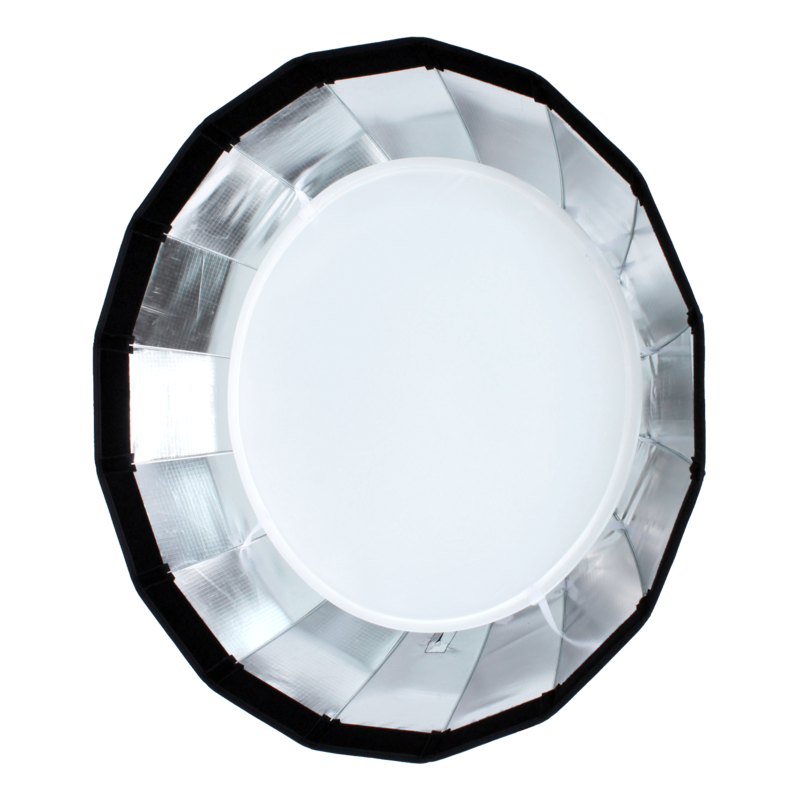 With classic softboxes, it works like this: lay the outer cover on a (preferrably) clean surface, place the speedring in the center, insert the tension rods into the speedring, then pull the outer cover tight and finally, attach the diffuser. 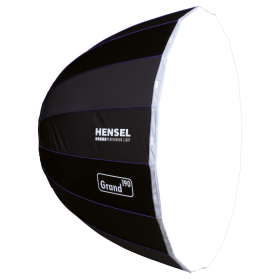 Simply take the Grand Mini 85 out of its included transport bag, open it with one move of the hand just like an umbrella, insert the diffuser and voila – ready! Even the connector ring for the Hensel EH system is integrated already. Quick, efficient, and extremely convenient! Especially users who change location several times per day will love this easy setup. Besides saving a significant amount of time, there is another advantage. The Grand Mini 85 forms one single unit made up of back part, mechanical parts, and the cover. You will never lose individual parts again. 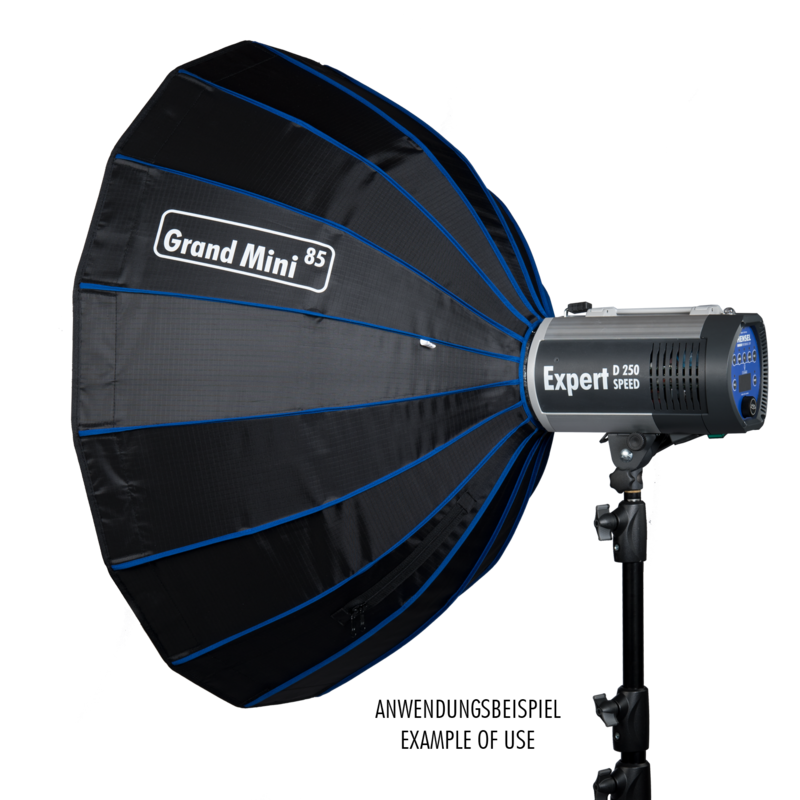 Time consuming setups are a thing of the past and just one move with the Grand Mini 85. 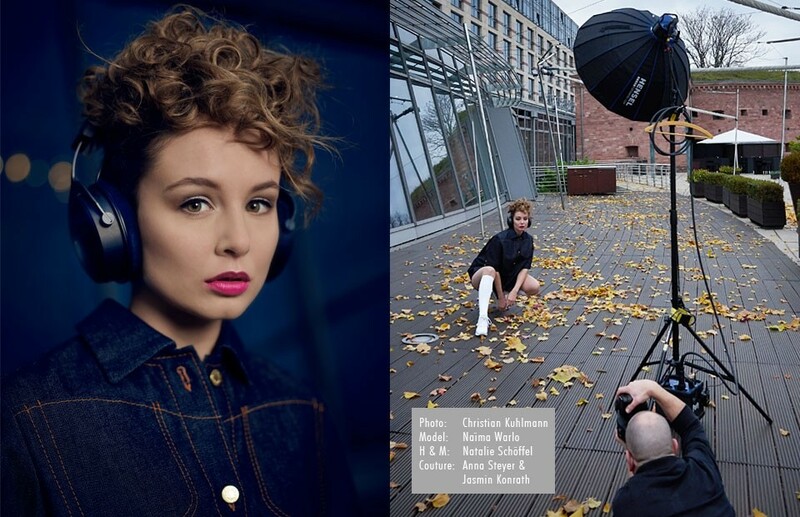 Simply perfect for working on location!